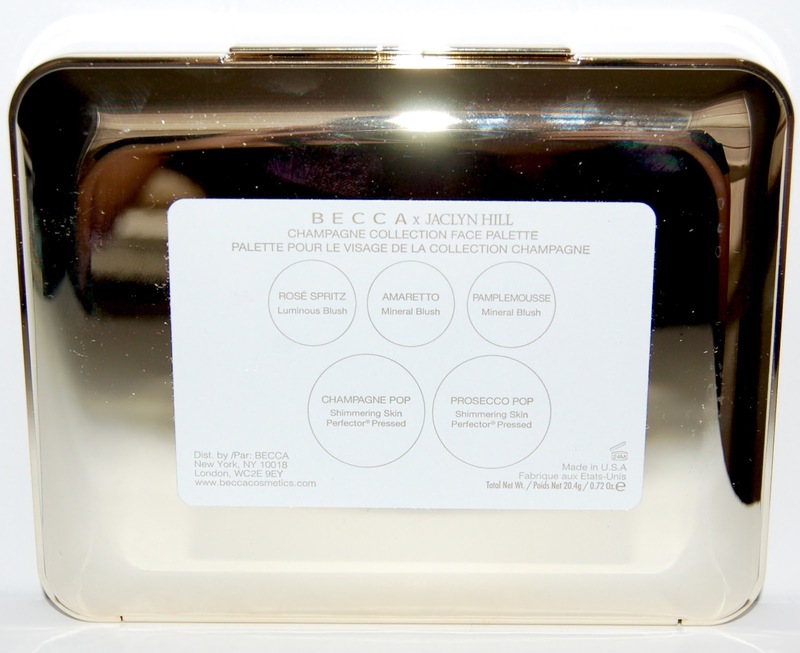 Last year, Becca and Jaclyn released a beautiful face highlighter called Champagne Pop (which is now a permanent item in their collection) and you can read my full review of that product right here. 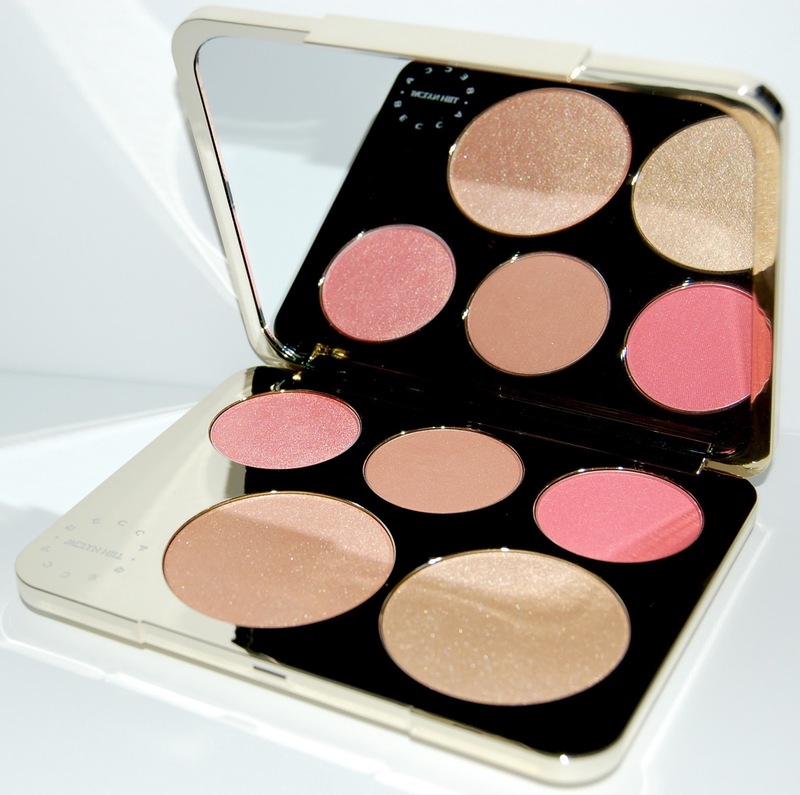 Recently they expanded the Champagne Pop family by adding a liquid and cream highlighter, as well as an eyeshadow palette and this face palette. The packaging of this palette is gorgeous! It's white and gold and is pretty heavy duty. It includes a large mirror that is clear and great quality. There's a removable plastic covering on the powders that has the powder names but thankfully the powder names are also shown on the back of the palette. 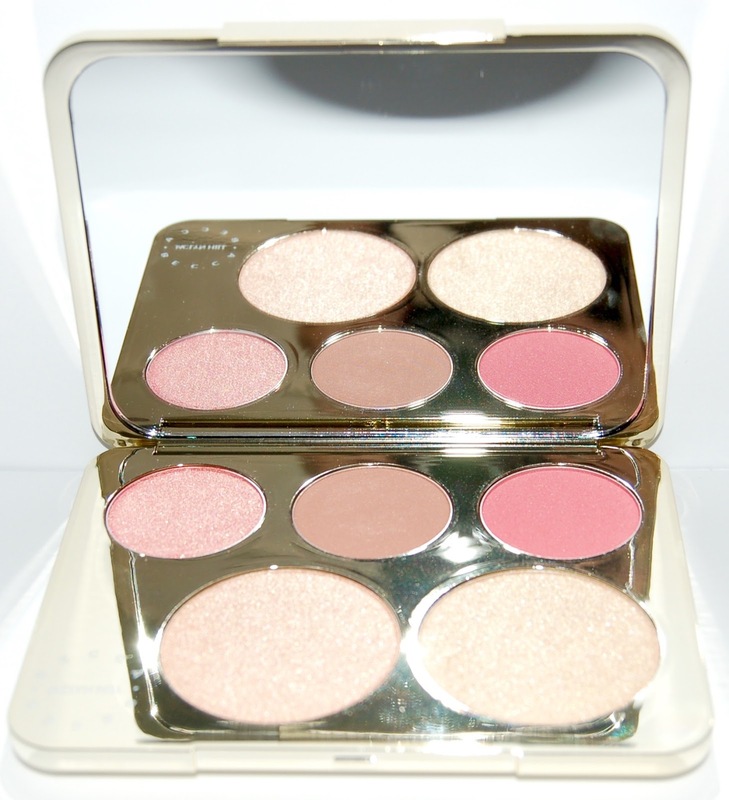 The Champagne Pop Face Palette contains 5 powder products, 2 highlighters and 3 blushes. 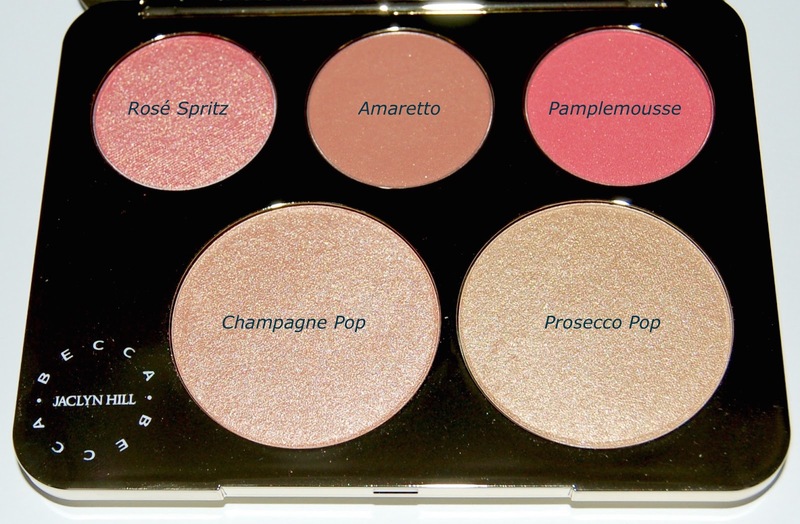 Of course Jaclyn Hill's famous Champagne Pop highlighter is included in this palette as well as a new highlighter called Prosecco Pop. 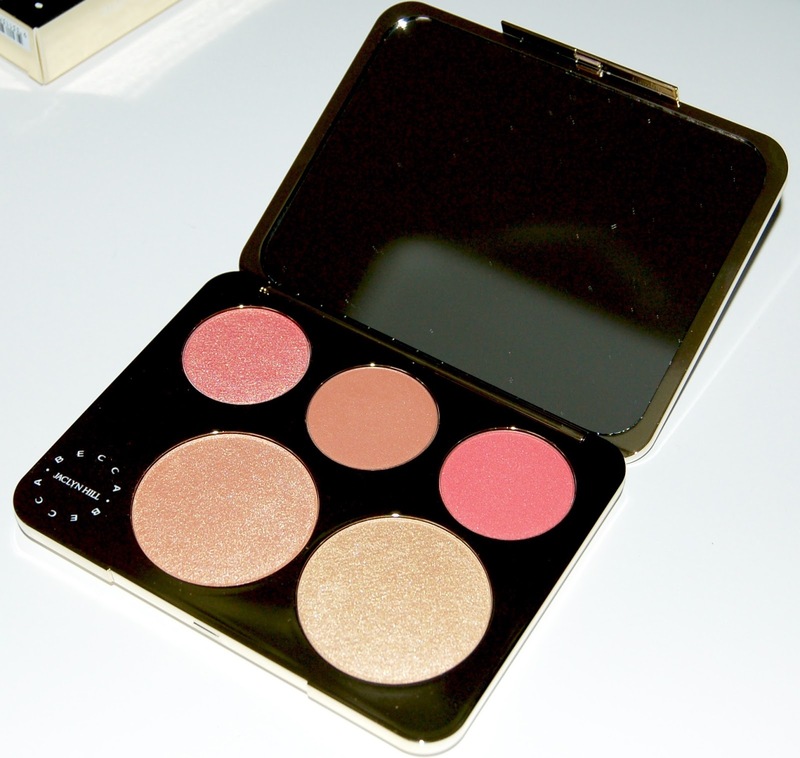 Also included is a Luminous Blush in Rosé Spritz which is a peachy pink with gold shimmer. There is also 2 Mineral Blushes including Amaretto which is a matte toasted almond shade and Pamplemousse which is a matte warm coral pink. Becca makes some of the most gorgeous blushes and highlighters on the market. The blushes in this palette are insanely pigmented! Even with the lighter Rosé Spritz shade, you have to have a very light hand when applying to your cheeks. I like to mix Amaretto and Rosé Spritz for a calmer pink color to my cheeks. Pamplemousse is SO pigmented and bright that I will probably only wear it for nights out. 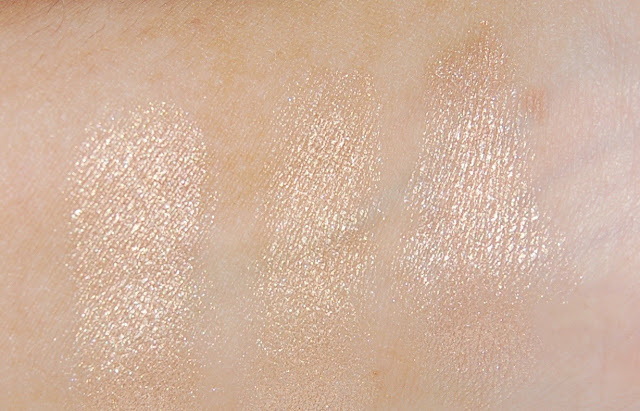 As for the highlighters, of course I know I already love Champagne Pop highlighter which is a peach shimmer. Prosecco Pop is a light shimmery gold. You can combine Champagne Pop and Prosecco Pop for a gorgeous peachy/gold shimmer highlighter as shown below. 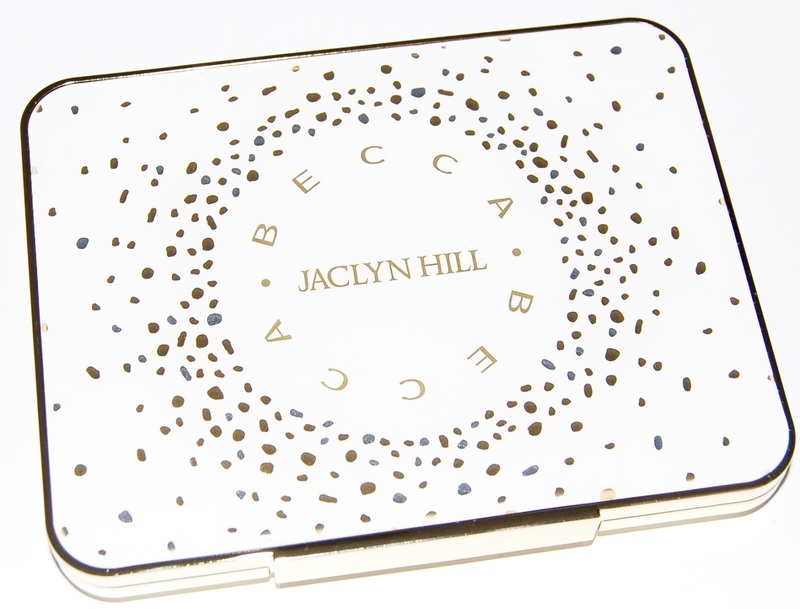 I absolutely love the Becca X Jaclyn Hill Champagne Collection Face Palette and I'm so glad that I purchased it even though I already own a full size of Champagne Pop. My favorite blush from the 3 is definitely Rosé Spritz and I love to combine the 2 highlighters and apply that to my cheekbones. This palette is limited edition and it's currently sold out. However, it will be back in stock online and in stores on June 16th so if you're interested in it, I recommend trying to get online right when it goes on sale! You can use THIS LINK to get right to the palette. 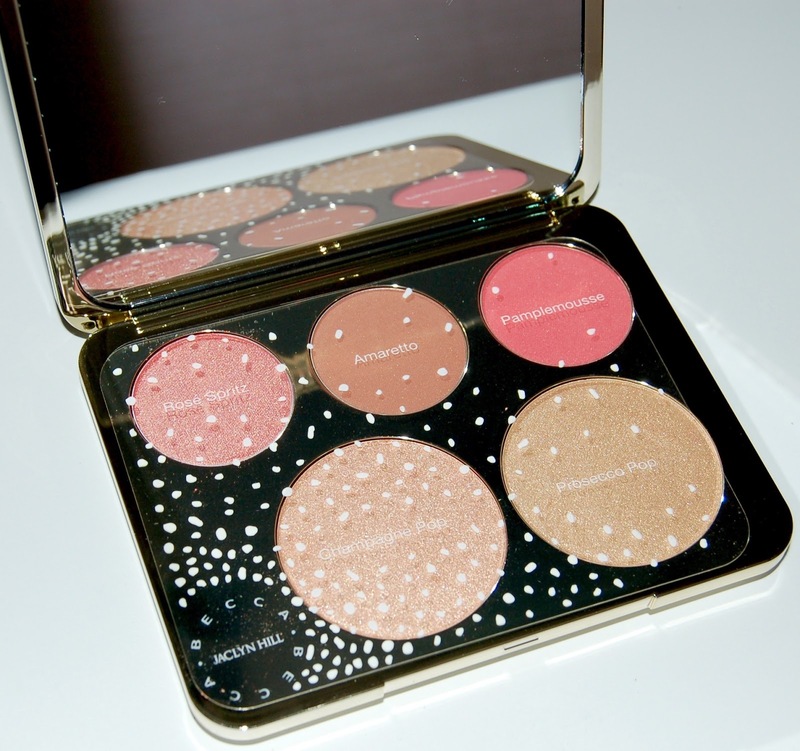 Were you able to get this palette? Do you plan to get it on June 16th?